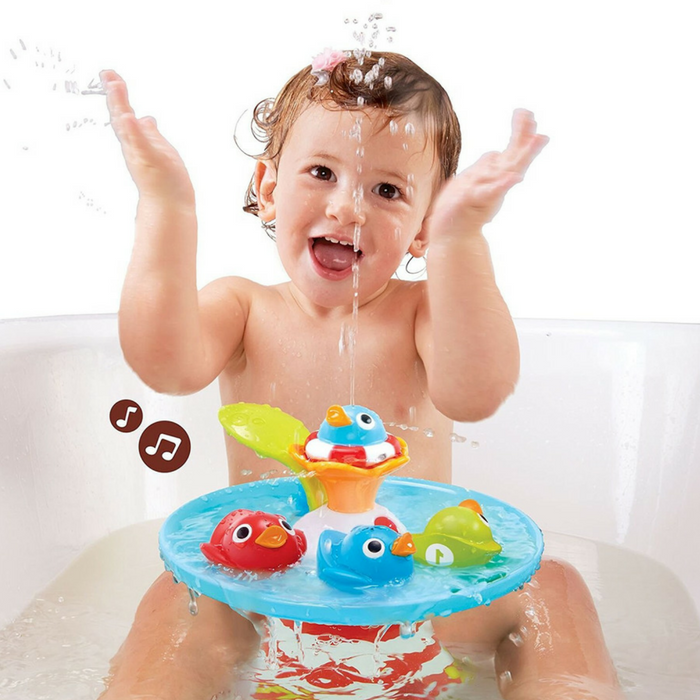 Have Fun With These Bath and Pool Toys This Summer! We are definitely welcoming summer in a fun way! I was sent these bath and pool toys to share with my readers. My granddaughters are enjoying them!! 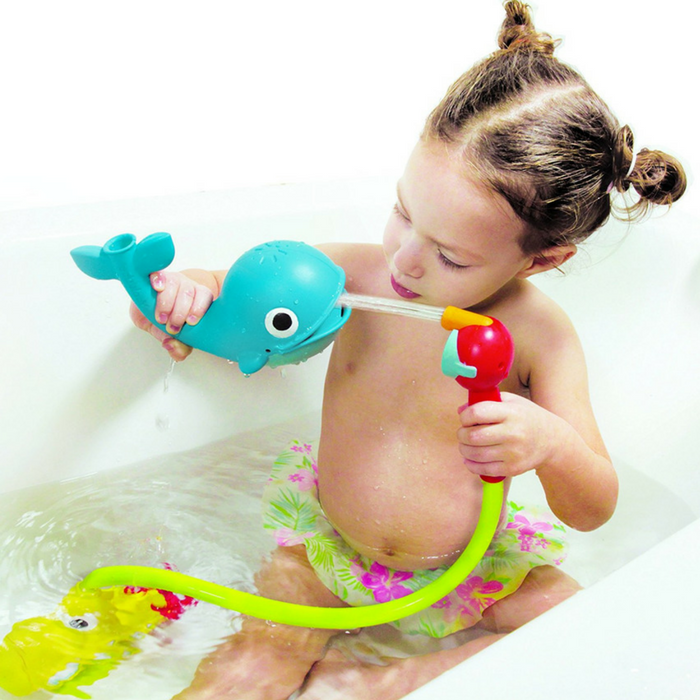 Are you sick of doubling up on both bath toys and pool toys? Do you always run out of storage for your child’s toys? All for under $35, these bath toys dual as pool toys! The Musical Duck Race is all about celebrating bathtime! Attach the Musical Duck Race to a flat surface on the bottom of the bathtub. Encouraging your child to catch the duck promotes hand-eye coordination through play. 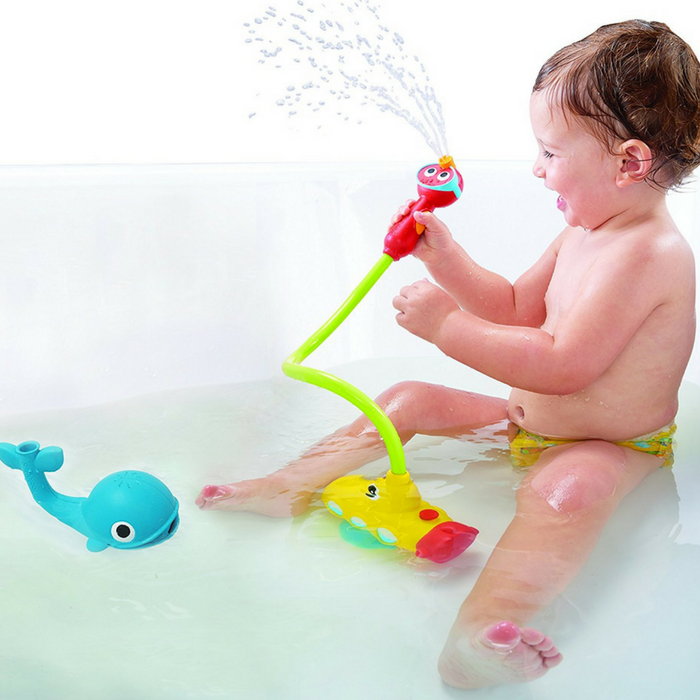 The Submarine Spray Whale gives an enhanced water activity that offers a variety of ways to play and learn through water play! The submarine draws water from the bathtub and streams the water through the diver shower head. Show your child how to activate the water flow by pressing the nobs on the sides of the shower head. Run the water flow into the floating whale’s tail to create a cool spraying action! 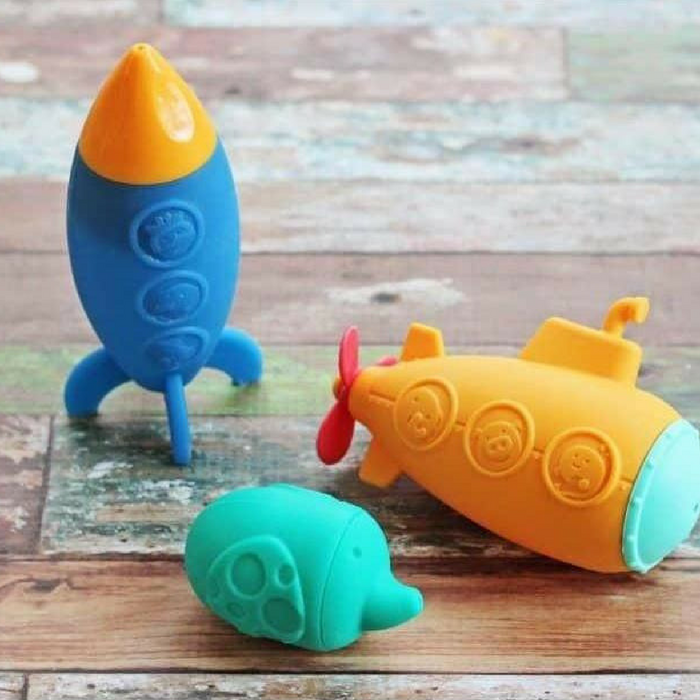 The Mild-Free Rocket Ship and Submarine Bath Toys have a unique design that brings fun and excitement to your baby while keeping them engaged and entertained! The silicone rubber is soft to the touch and easy to hold for tiny hands with no sharp edges. It has a heat-sensing technology changes the color of the rocket ship if the bath water is too hot! The squeeze and squirt feature will provide your baby with plenty of laughs and giggles. Add even more fun to your splash-filled adventures with the Sand & Water Fine Motor Set! Kids discover four new ways to learn in the sand and surf. This set of four toddler-sized tools includes a squeezy bottle, spinner, wavy dropper, and scooper, each of which demonstrates a different physical concept through fun, easy-to-understand interactive play. During splash-filled play, kids watch water twist and turn down the wavy dropper, make perfectly round balls of sand with the scooper, and study the waves created by the water within the spinner. Made of durable plastic, these tools are tough enough to accompany kids wherever water is found – add even more interactive fun to water and texture tables, bring learning into the bath or combine them with the buckets and shovels of your existing beach kits for a fun twist on the traditional sand castle. In addition to adding fun to outings and activities, the Sand & Water Fine Motor Set also helps kids build the fine motor skills and hand muscle strength they need as part of school readiness checklists. 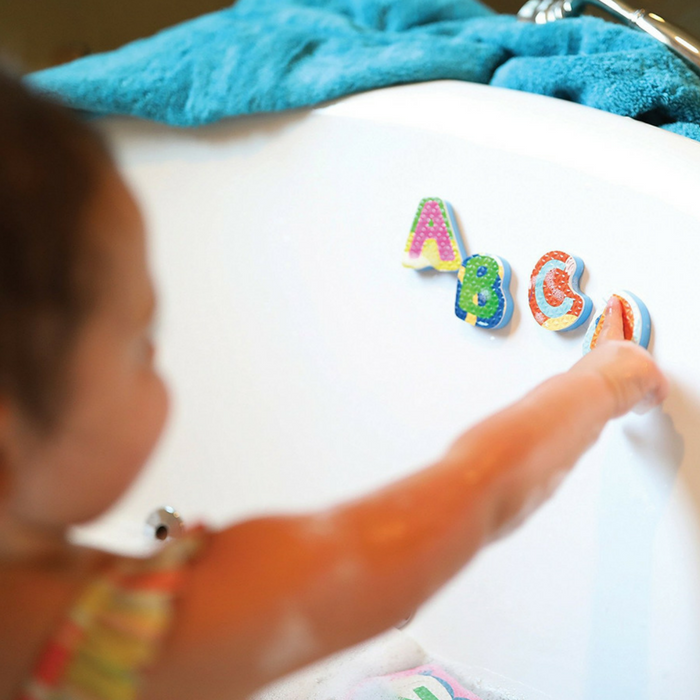 Learning letters is a splash with Bright Basics ABC Tubbies, a set of 26 floating animal bases with pop-out foam letters. Pop the pieces out of the colorful bases to play, then pop them in again. Each base features an animal beginning with that letter for reinforced learning. Float the pieces at random or use them to practice letter names, sounds, alphabetical order, simple spelling, and more. They’ll even stick to tile when wet. When you’re done, hang the pieces to dry in the included mesh storage bag for easy cleanup. Letting your kids learn the different shapes and numbers is a splash with the Bright Basics 123 Tubbies, a set of 26 textured numbers and shapes and building pieces that float in the tub. Pop the pieces out of the colorful, floating bases to play, then pop them in again. Each number base features a corresponding number of objects to support early number learning. Float the pieces at random or use them to build number sentences, simple math problems or tangrams. They’ll even stick to tile when wet!